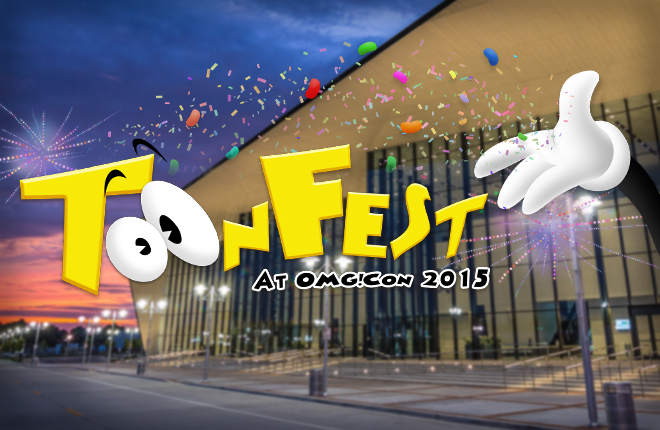 ToonFest comes to OMGCon 2015! In celebration of Toontown's 12th anniversary on June 11th, 2015, Toontown Rewritten will be hosting the first ever Real-world, Pie-splattered, Ever-changing, Toon-themed event on this side of the Tooniverse since 2007 at OMG!Con 2015 in Owensboro, Kentucky! Here's a bucket full of information to take in - try to contain your excitement! Our main ToonFest event will be hosted at 11AM on Saturday, where we have been given one of the largest rooms in the hall for players just like YOU to meet the team, ask questions, pick up some free merchandise -- and even get some sneak peeks at future secrets! Everyone who stops by our exhibit will receive a unique code for a special in-game item, and attendees of the main event on Saturday will get even more! ToonFest 2015, the annual in-game celebration of Toontown Rewritten, will still be hosted on September 19, 2015. This event is a real-world celebration for Toontown's 12th anniversary. The panel will be recorded and uploaded for those who are unable to attend the event - but you really won't want to miss it if you are able to be there in person! OMG!Con is a big convention full of all sorts of things to do outside of Toontown Rewritten - you may come for us, but you'll want to stay for the day full of fun! Tickets and hotels are selling out quick, so make sure to get your plan together quickly. We'd really be honored to have you attend! Our panel room will seat up to 250 people, and there is expected to be at least 2,000 attendees this year at the overall convention. Let's make it even bigger by showing them how us Toons have fun! You can learn more about the convention and tickets at OMG!Con's official website. 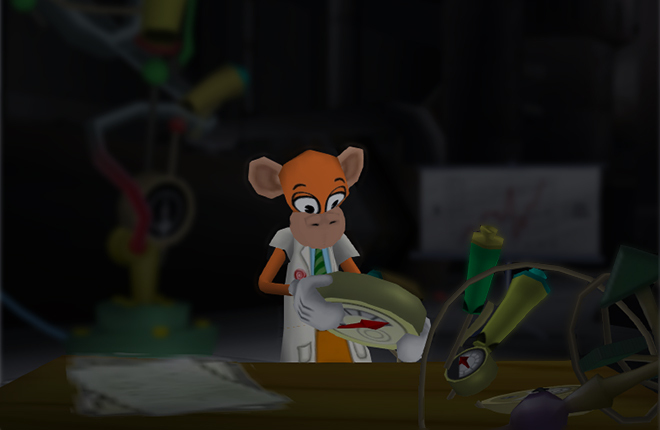 We encourage you to order online for a pre-registration discount (Tell them that Toontown Rewritten sent you! ), but tickets will also be available at the door. One ticket will get you access to Toontown Rewritten's panel along with all of the other events OMG!Con has to offer. Toontown Rewritten receives no profits or revenue from this event -- we're just in it for the celebration of all things Toontown! So what are you waiting for? Come by and hang out with us for a while - we promise we won't bite. There's plenty to do, and we're just as excited as all of you. Stay TOONed on our blog for more information as it becomes available, and we hope to see you at our first real world ToonFest! Very exciting, I can't wait! Yes Yes Yes Yes Yes!!!!!!!!!!!!!!!!!!!!!!!!!!!!!!!!!!!!!!!!!!!!!!!!!!!!!!!!!!!!!!!!!!!!!!!! Well, that'd be quite the walk from the UK. Awesome! Wish I still lived in the U.S now! WOAH DID NOT EXPECT THIS!!! Omg Hope I Can Come! This Is So Exciting! it says it will be recorded and uploaded for those of us that live to far or alread had summer plans, will those toons still receive the code for watching like the toons that are able to attend in person? First one to say something, IM SO HAPPY! this is gonna be awesome! Awesome! i really want to go there now! Aw man! I want to go but i don't live in Kentucky and I'll be at Disney World! I'm hyped but sadly... I can't go, I'm not in Kentucky! Sorry,but i can't attend this event since its so far away but great job TTR group you've taken a big step! You guys have fun! in the meanwhile, I will be fighting off those no good cogs! Woah! I can't wait to attend and meet all of you guys! Oh my gosh! I live 20 minutes away! SO GOING!! I can't go, but I will see the recording! I want to come but I can't because of a vacation interfering... DANG IT! OMG I can't wait for the celebration! See you there! I might be going!!! I'm so excited!!!!! OMG I NEED TO GO TO THIS THING!!!!!!!! Lol. I wish i could come! Post a video on your youtube channel! YAY! I'm so excited to go there! OMG I LIVE IN KY!!!!!!!!! Woah, I live in Kentucky! Yay! The location is very convenient for me. The people on the coast always get all the fun! This is one small step for Toon, one, giant leap for Toon nation! This is the most hype I've had in a long time. Can't wait for it! OMG! Yay! I can't wait for OMGCon this year! What's a toonfest? Whatever it is I'm SO EXCITED!!!!!!!!!!!!!!!!!!!!!!!!!!!!!!!!!!!!!!!!!!!!!!!!!!!!!!!!!!!!!!!!!!!!!! :O yay a con >0<!!! Thats awesome, I wish I could go, but I can afford it XD,Also pet shops would be cool too! OOO, i wonder if i'll be able to see the fanboys of TTR. 0_0 I WANNA GO TAKE ME! OH MY WORD! I totally did not expect this! But after I found out where it was going to be, I got so sad and started to cry. :-( :-( But I am so excited for this new advancement in TTR! I hope everyone who gets to go has fun, and I will DEFINENTLY watch the OMG CON video. I LOVE YOU TTR! OMG! (Con) I WILL DEFINENTLY BE THERE! Wow, I wish I could go but alas I live in Minnesota and with having a job and collage I don't think I can make it. Those of you who are able to go, I wish you the best of luck!! OMG! wish I could go :( Everyone whose going, bring me back a cream pie or two!!! WOWIE! What exciting news. Wish I could go! I'm currently looking into going! I live on the west side of the country, though, so it looks like I might not be able to attend. I can afford it, but it's a hassle getting there, sadly. If I miss out, I hope you guys repeat it again somewhere closer to the west. Believe me, though, I'm doing everything I can to be there! So its toonfest in real life? cool! count me in! Aww, I wish I can go there! But, congrats on your 12th anniversary! Wow, I've already signedup to come to OMGcon, hope to see you there! i wish i could come!! i will be there in spirit!!! Wow... this is like 25 miles from where I live... and of all the places I'm absolutely surprised its in Kentucky and not in a bigger place like New Orleans or New York, something like that. Well, let's hope for some codes for gifts! oh my tooness!!! I AM SO THERE!!!!! Dang, i don't get to go, it's a shame. I wish all those at the TTR team good luck and all those going, have fun! Oh man, it's half a day away! I might go. I'd love to come, but I have a lot of rehearsals.... :( I wish I could. Tell how it goes! Hey, this is 45 minutes away from me. I'm honestly considering going if money permits. Wow! AMAZING! I'm so lucky because I am going to Kentucky for vacation soon! I CAN'T wait! The event sounds pretty fun, and I'd go.... but it's too far away. Oh, well. Let's hope there are some good photos from the event (perhaps a little insight as to what is asked, and even a video). Until then, I'll continue playing and anticipating the updates, and I hope that those who can't attend will do the same. For those who are attending, have a Toontastic time. Toons of the World, Unite! I wish I could go to OMGcon!! Very exciting, though. I hope I can go!! If I can't then I hope everytoon has fun at the real life Toon fest! Wish I could go :( Congrats guys! Boy sounds like something that should not be missed by we toons. Hope to get something worked out for my family. AWW that sounds like so much fun! Unfortunately I live in California and it's too much of a trip for me D: I wish you could come to fanime next month! Kentucky!? Way over there!? Aw man i live in Los Angeles. Wishing I lived in Owensboro. Other than that, that would be awesome! Awesome! I wish I could attend! :D I wish in 2016 it's near California. Ugh, idk if i can go, even though it is my birthday on June 25th I will beg my dad to go. This sounds AMAZING. Keep up on the good work in the BBHQ. Toons of the World Unite! I literally live 5 minutes away from the convention center in which this is being held, also a day after my birthday i'll definitely be there! OMG! OMG!Con...we are in the big time now !! How exciting is this !! My mind is reeling with ideas to make this an awesome vacation destination. Toons of the world unite! Keep me posted. WOWZA! THAT IS SO COOL! Count me in and lets party! Is... this... real?! omg so exciting though i'm in the UK but still!!! well done TTR team this sounds like an awesome event! Omg I hope my parents will bring me there! Sounds like so much fun! Oh wow! I wish I lived there so I could go! Oh well, I hope the people who go have the time of their life! Cool! I LOVE TTR! I really do hope I can make it, it sounds awesome! Cant wait to see you guys there! YASSSS, I would love it if we could play with Sir Max and the rest of the crew! Living in Louisville will make this a walk in the park. that would also take a few hours to drive and i dont have 130 jellybeans to spend at the hotel! YES!! TOONTASTIC! I have to try to get there! I'm going to save up money! YAY! I hope I can attend. I have never been to the real life Toonfests by Disney before, so I hope I can go! I REALLY WANT TO! :D Yay! I never expected something like this to happen! Hopefully, I can make it! Aww wish I could go! Awesome! I hope everybody has fun there! I hope i can go for vacation! Cross your fingers!If i do not get to go hope u all have fun there everyone! I'm wondering, will there be codes like in the other toonfest that we can unlock? If so, can some be so that you don't have to get the beta key? Thanks! Toon On! THIS IS AMAZING! I'd love to go to this! You guys are so awesome, thank you so much for this opportunity. aww....... I wish I could come but here's one thing....... I dont live in Kentucky so thank to the people at OMG!con's that are told to record it this will be the best year for it! Im going to try to go, thats for sure! Totally coming! This will be so fun! AWWWWWWWWWWWWW! I CANT GO TO THIS! BUT IT SOUNDS AWESOME! Wow. Never would I have thought that a game made by fans of TT would be in a convention... Have fun! Don't forget to write! OMG I LIVE IN KY!!!! Awesome! I'm really glad more and more people are getting into ToonTown. Ooh I want to go! sounds awesome! i wish i could go. I can't wait! I just need to move from Virgina to Owensboro. Wow, that's awesome!!! If only I could come! WOW! Toons in real life! In my time zone!! ... Ooof! Wrong dates! My real life self has a prior commitment! RATS!! I dislike missing these cool TTR rewards!! Enjoy! Ohhh :c Please make an event in the UK! I can't go to Kentucky in the middle of June, Kentucky is 14 hours away from the UK :s And June, that's in the middle of the school term! ;-; I'm excited for everyone that is going though, have fun. I hope i can afford my tickets by then! Aww it seems like I won't be able to be there to server as body guard with many gags if any of the cogs try to ruin OMGCon. Impressive! Maybe I can get a glance at the recordings. OMG OMG OMG OMG OMG OMG OMG OMG OMG OMG OMG OMG OMG OMG OMG OMG OMG OMG OMG OMG OMG OMG KENTUCKY IM SO CLOSE TOO IT!!!! OMG OMG OMG OMG OMG OMG OMG OMG OMG OMG OMG OMG OMG OMG OMG OMG OMG EXCITED I LOVE TTR!!!! Wow, awesome! Sadly I won't be able to go (from the UK) but it's fab that you guys are doing so much to not just revive Toontown but make it the best it's ever been!! This is so cool! I go to all kinds of convention but I've never gone that far, if It was near LA or something that would be another story, maybe next year! But great job TTR! I cant wait to see that video! This is Awesome! I really home I can come to OMG!Con even though it's many miles away from me. TTR I am impressed that your progress is getting so far! I hope the event will be a success, and if it is perhaps you can host it someplace else in the states (or world) for us people who cannot make it! Have fun all who go! I really hope you can all come to more conventions in the future! Kentucky is a tad too far for me. Meeting the actual team in person is a dream come true! If I'm there for the 3 days, especially on the 13th, It'll be like a birthday party to me! We all will have to celebrate my birthday on the 13, and I'm glad ToonFest is on that day! (I'm also curious to know some of the sneak peek secrest you'll show us). As amazing as this sounds, I wont be able to go. I am busy then! I really wish I could go, but you cant do everything! Hope everyone who goes has a great time though! 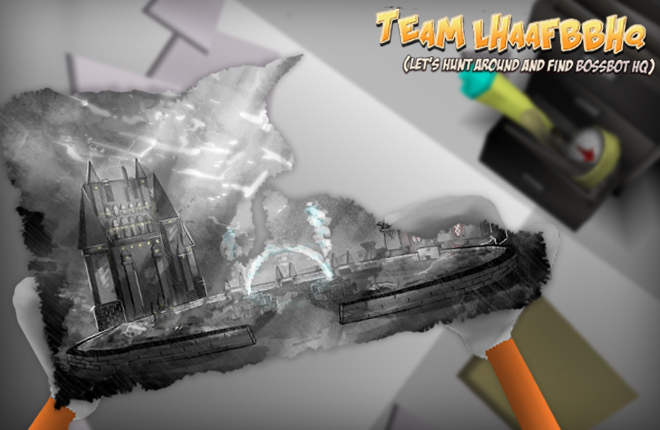 I know this has nothing to do with OMGcon, but has anyone seen team LHAAFBBHQ yet?!?! Im getting a little worried, considering the fact we never heard from them in like a month... xD Once again, have fun at OMGcon toontown rewritten! Toons Of The World, Unite! nice! Hope i can go!! I wish I could go! Unfortunately, I live in PA :( Maybe next year? Wish I could go but it's too far away from where I am sadly :( But congratulations for getting an opportunity for a real life event. That's something to be proud of especially with an older game like Toontown! :D I really want to go!! So proud of you guys! Wish I could go to Kentucky just to see this! 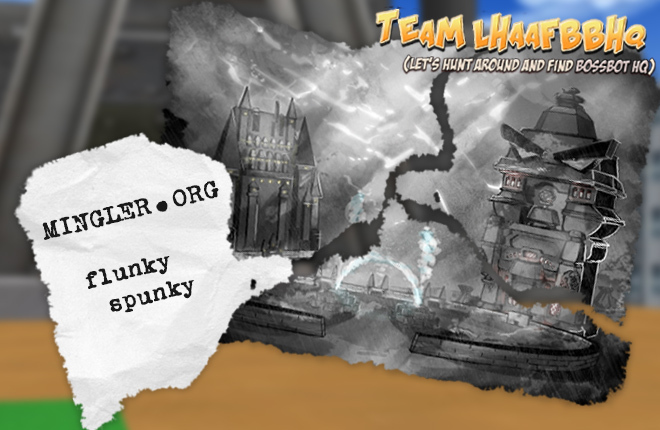 Team LHAAFBBHQ: Let's Hunt Around And Find... The TEAM?! 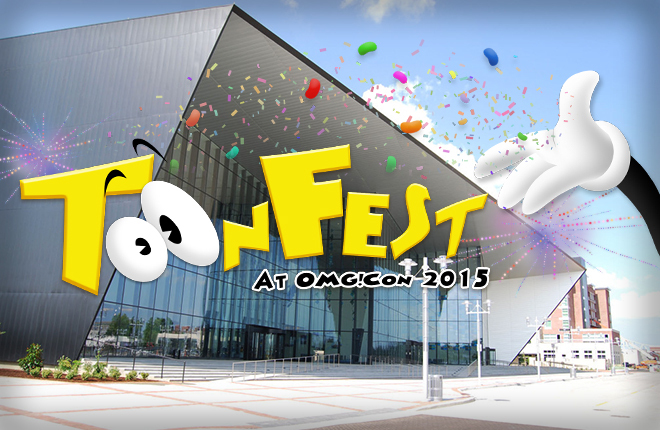 OMGCon Update: ToonFest Grows Greater!